Check out the latest key communiqué to find information about upcoming system meetings, kindergarten registration for the 2010-2011 school year and the December edition of the Trustee-zine. Just a reminder to join Mrs. Sarginson, Mr. Murphy and the rest of McKenzie Towne School tomorrow morning for a breakfast and tour of our new school. The breakfast begins at 8:05 am. 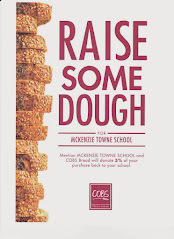 Check out the CBE's McKenzie Towne School website for updated bus and hours information.